Oby Ezekwesili was education minister in President Olusegun Obasanjo's administration, while Femi Fani-Kayode was the aviation minister. The two are now out of government, but they are still active in politics. The latter has written and published an opinion article in some national newspapers in Nigeria, a reaction to what he calls some members of Ezekwesili's tribe view of his own Yoruba tribe and has expressed his own view about the superiority of his tribe to Ezekwesili's. Ezekwesili probably views Fani-Kayode's stereotyping of her tribe as unwarranted has called on the government to order Fani-Kayode's arrest. This development has exposed the mindset of the woman and the man Nigeria unfortunately had as ministers in an administration that ushered in democracy after long years of military dictatorship. Fani-Kayode wrote in his piece that he was careless if people called him a tribalist. And on her part, Ezekwesili, does not give a qualm turning Nigeria into a police state for her tribe's sake. But what could have warranted Fani-Kayode's walk away from the issue in debate (Governor Fashola's deportation of certain Nigerians of Ibo extraction from Lagos to Onitsha) and embarked on a dangerous stereotype? I disapprove of anyone shunning out obscenity or what the law does not guarantee or admissible in the hall of free expression. I am a believer in Sir William Blackwell's expression, "The liberty of the press is indeed the nature of a free state, but this consists in laying no previous restraint upon publications and not in freedom from censure for criminal matter when published. Every free man has undoubted right to lay what sentiments he pleases before the public, to forbid this is to destroy the freedom of the press; but if he publishes what is improper, mischievous, or illegal, he must take the consequence of his own temerity." Ezekwesili has the right to express an opinion like other Nigerians have been doing in the debate over the unwarranted deportation of poor Nigerians by certain governors who think they are empowered to rule outside the law. The immediate cause was Fashola's deportation of some people from Lagos to Onitsha; brought in the Igbo tribe and some comments that belonged to the Cyber-Cesspools. This followed the reports in newspapers of peoples' opinion, which Fani-Kayode has used as smokescreen to vent pent-up emotion for what must be his personal reasons- judging from his use of words in his writing - and certainly not any love for the Yoruba people. 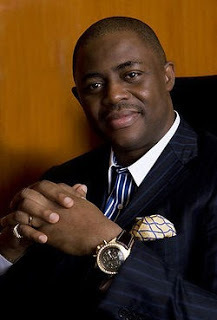 It shouldn't be doubtful that Fani-Kayode could have personal reasons for inserting himself as a defender of the Yoruba tribe, digging into the archives - which he must have access as son of a former deputy governor in Ladoke Akintola's government in the Western Region that was cut short by the 1966 Nzeogwu's coup. Reading that part of Fani-Kayode's stereotype shows his demonstration of ignorance about the event of that time and demonstrates what Professor Wole Soyinka has said about his worries concerning the manner some Nigerians claim sense of ownership. First, Nzeogwu's coup was popular and welcomed in the view of generality of Nigerians. The guys were believed to have done what was morally acceptable, though they left untouched some politicians who should have been killed. Among them were Hausa, Ibo and Yoruba politicians. And the reason advanced was that they could not have gone on a killing spree, when their objective was to take out the major trouble makers who were thought as politicians who troubled Nigeria at the time. It was why they killed Ladoke Akintola in the West, Tafawa Balewa and Ahmadu Bello in the North and Okotie-Eboh in the Mid-West. They spared Aminu Kano, Michael Okpara, Nnamdi Azikiwe, Obafemi Awolowo and Remi Fani-Kayode. Awolowo and Akintola's disagreement in the West was the cause of the political inferno. Akintola's alliance with Ahmadu Bello and Tafawa Balewa poured petro into an already burning fire between Awolowo and Akintola, because Akintola refused to resolve issues with Awolowo in the West. Akntola and Fani-Kayode were premier and deputy premier in the West, probably acting together. Yet, Remi Fani-Kayode's life was spared, and no one had queried the reason. Nzeogwu and his men put their lives at risk to save Nigeria from total collapse. Though, they failed to form a government for inability to take out senior army officers above their own rank, and a development that gave Aguiyi Ironisi the opportunity to be the country's first military head of state. It is here that Femi Fani-Kayode spewed a sort of personal reason for his pent-up emotion: He wrote that Aguiyi Ironsi told all the politicians that he couldn't guarantee their safety. What Femi did not write is that his own father was one of those politicians who survived the killings, and those the military may have asked to walk, because their safety could not be guaranteed. Since one is not sure how old Femi Fani-Kayode at the time his father was deputy governor under Akintola, one cannot be sure he would have known the unpopularity of the team his father belonged. Between 1963 and 1966, I was eight, nine and ten years old respectively and lived at Ile-Ife - the homestead of the Fani-Kayodes. Yes, I knew Remi Fani- Kayode was popular at Gbuede compound, where his father's compound was situated and where I lived - opposite the Gbuede compound - as a child of Bini migrants from the Mid-West. The party Remi Fani-Kayode served as a deputy governor was not popular to warrant Akintola and Fani-Kayode to pay official visit to the city in daylight. It was cancelled the only time Akintola tried it after school children had lined the streets and waited for hours and left for their homes. The Akintola's entourage later arrived the city under the cover of the night after everyone had gone home. Yet, Okpara, a non-Yoruba politician visited the same city in the day and was accorded a warm welcome. Politicians' popularity were not based on tribe, but their acts. The Akintola and Fani-Kayode's administration brought trouble to that part of the country, and that same trouble engulfed the entire country, and from which Nzeogwu's coup attempted to save the country. Femi was barely five years old at the time. Femi Fani-Kayode wrote about those who tried to revise history, but he failed. The issue of who owns the most business in Lagos is the business of Lagos Chamber of Commerce. No one has asked questions about whether the Yoruba people are hospitable or not. Of course, I know they are and just like the Igbo people that I know. If anyone has reacted to Fashola's unconstitutional deportation of any Nigerian from Lagos and the 'Cyber-Cesspools interaction' allows people to say things that are disparaging of others, should learned people have joined in the uninformed assertions as Fani-Kayode has done? The Igbos said they were seceding for justifiable reasons, but they did not wage any war. It was the Federal Government that said, "To keep Nigeria one was a task that must be done," and the country went into war against her sons and daughters, after it lost the diplomatic engagement. Where did Fani-Kayode got the information that the Igbo declared war against Nigeria? Again, he wrote that the Nzeogwu's team killed wives and children of the people they displaced from power. This must have been from Femi's imagination. The one politician the coupists found difficult getting was Akintola, and whom Nzeogwu was ready to die getting with whoever may dared stand on his way, because Akintola was believed powerful and could hardly be killed without his own will. Isn't it a demonstration of an attempt to re-write history for anyone to refer to the Nigerian Army's battalion-'The Third Marine Commando' - as essentially a Yoruba force? Was it because it was led by Col. Benjamin Adekunle and later Olusegun Obasanjo? Could that have been reason to call the Nigerian force essential a Yoruba force? Was Yoruba the country that waged war against the Igbo land? Certainly not. No one approved a military coup and its harbingers, but it was what happened at the time in Nigeria's case. The politicians were selfish, greedy and tribalistic. It is why every Nigerian must disapprove of what Fani-Kayode has written and Ezekwesili's response to it. The same tribalism and greediness have pushed Fani-Kayode imputing claim of ownership of Lagos to a tribe and accusing another tribe of a wish to own everything that Ezekwesili has joined the dance of dishonor. I was born in Ife, and I mostly see myself as a Yoruba guy despite my parents hailing from the Midwest. It is not sufficient for Fani-Kayode to write that because Orji Kalu' has said the Ibo's own 55% of business in Lagos and therefore Lagos belongs to them a justification to say Lagos belongs to the Yorubas. Lagos belong to all Nigerians. It is the nation's commercial nerve center. And every Nigerian has a right to claim it. Though, historically, the Benin Kingdom captured Lagos along with many parts of modern Ondo State that Oyo empire did not control. It was the Benin people that named Lagos 'Eko' - meaning a war camp. At worst, if Fani-Kayode has taken on Kalu or write to correct any other writer's unjustifiable impression capable of misleading the public, it would have been different from a sweeping assertion that tends toward rubbishing an entire tribe. One cannot complete this engagement without talking about the theories of the press, especially the social aspect of the theory. If we have vowed against the authoritarian theory, and we think the libertarian theory gives too much freedom, shouldn't editors allow a sense of social responsibility theory determine the type of stories they publish? I have been watching developments in Nigeria, and feels that the current government has been tolerant of speech, though it mat not be perfect. I don't think it will serve any useful purpose for news gate-keepers, expected to hold government accountable cause a reason for any government to insert itself between the press and the public and teach what can and cannot be published. I want to believe that Fani-Kayode's writing "The Bitter Truth About the Igbo" merits being published, and that it has not run foul of any law. Though, some of its assertions are downright unverifiable and smells like the song of a singer with personal agenda.